It's time for a new card for Two Paper Divas. 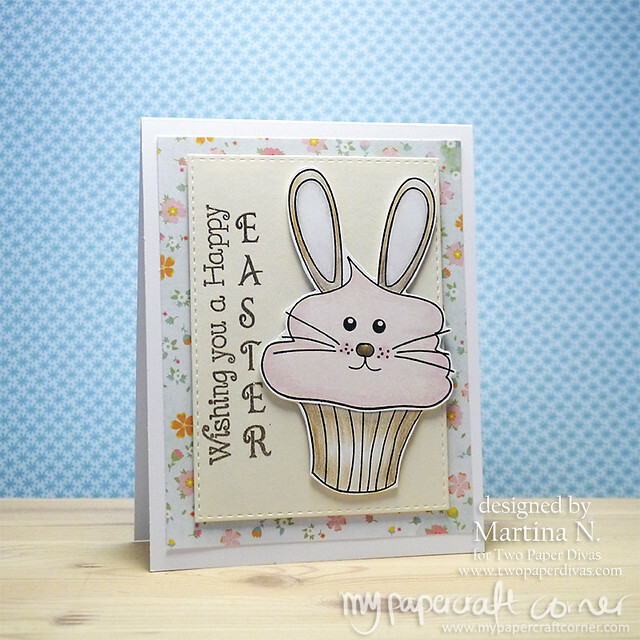 This time I used the new Bunny Topper together with the Large Cupcake stamp. I colored it with colored pencils. The solid stamp with the topping is stamped with a pigment ink and I then added some shading with the colored pencils. If you like to get some feelings of spring in the middle of the winter (it's snowing again here where I live in Sweden), you can check out the new release, Reason To Smile from Simon Says Stamp. It was a lot of flowers, which I like, and other beautiful stamps and products. I try to keep a small budget for my hobby, otherwise I would end up with no money and no space in my craft room :-) but I think I have to get the Spring Flower stamp set. I love it! I think it would be so fun to use with watercolors. You can find all the products from the release here. 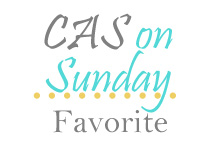 Do you find a favorite? 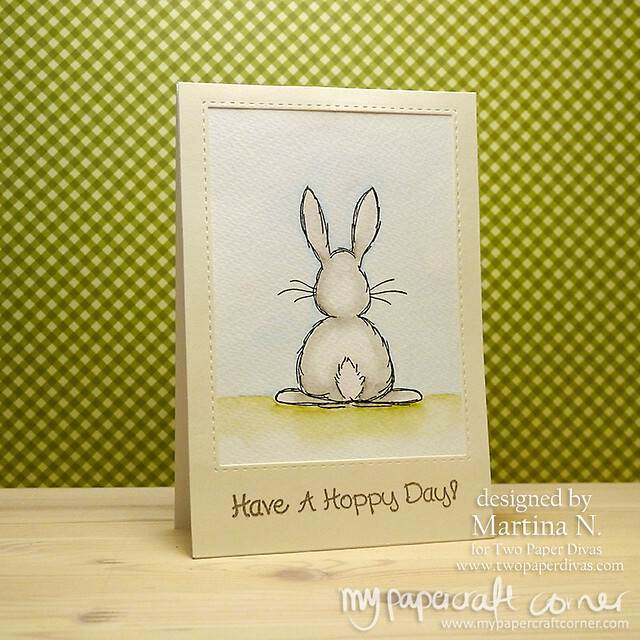 I love this new stamp, Hoppy Day, from Two Paper Divas. I stamped with Versafine black ink and used my Distress markers to color the scene. The frame is die cut with my Simon Says Stamp stitched die and I used Platinum embossing powder for the sentiment. I've had a cold now for a few weeks I hope it will be better very soon. 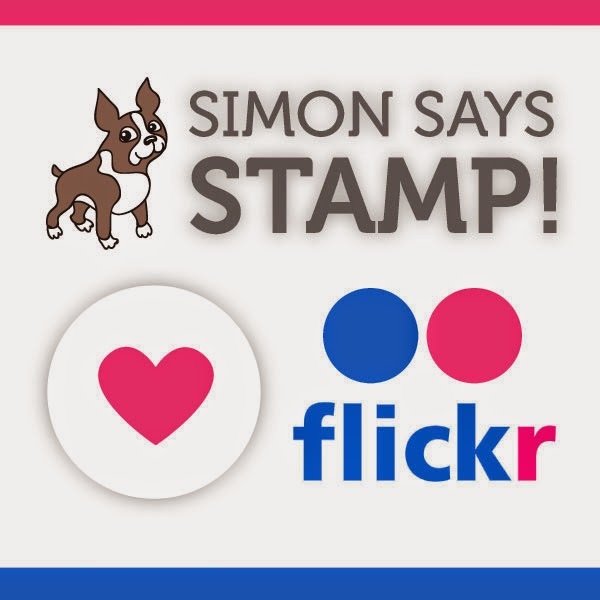 It was a while since I made a card for the Simon Says Stamp Flickr Challenge and when I saw the latst one I really wanted to create a card with a lots of love. I used the stamp set from Simon Says Stamp card kit October 2016, I really love that heart in the stamp set. I heat embossed it and colored it with different colors of pinks and reds from my Kuretake Gansai Tambi watercolor set. For the banner I tried, for me, a new technique, embossing with a stencil. 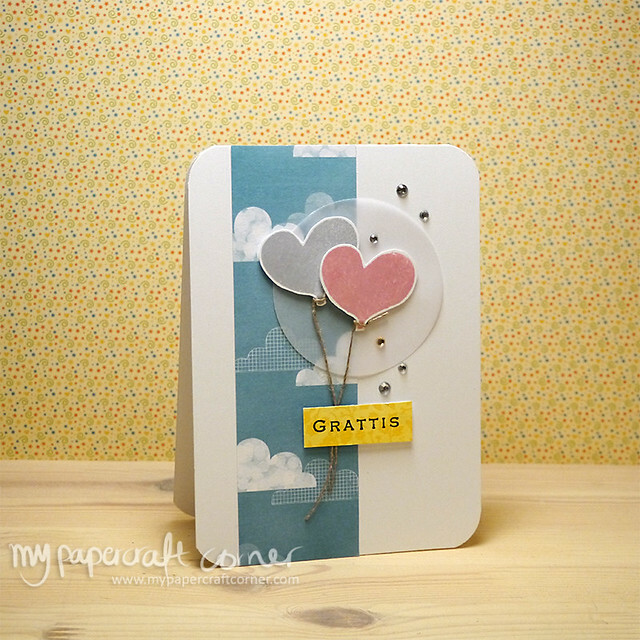 The background is just stamped with the smaller heart stamp in Versamark ink. 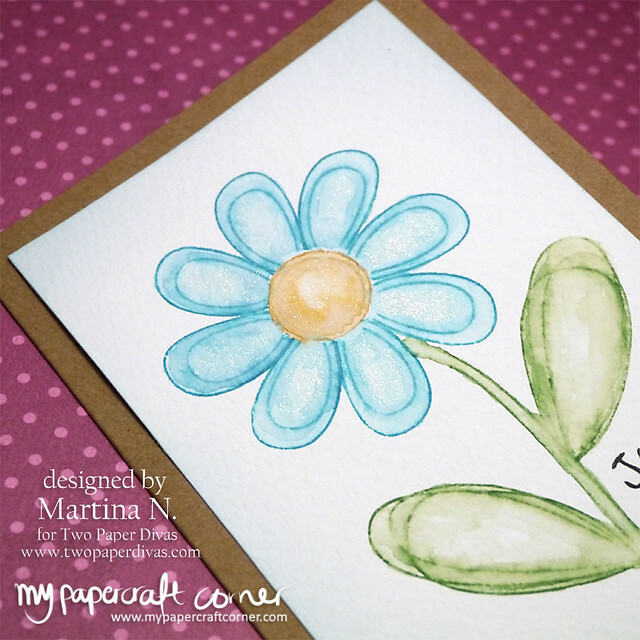 It's time for a new card with stamps from Two Paper Divas. 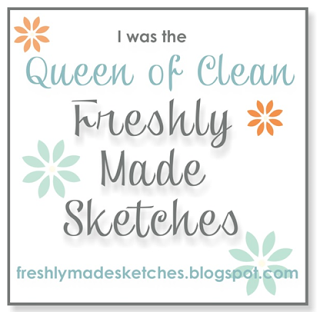 This time I used the flower stamp from Flower Doodles #2. I stamped the flower and leaves with Distress Inks on watercolor paper and then used a water brush to soften the colors and color the flower. It created a water colory and sketchy look. And I couldn't resist to coat the flower with some glitter. I masked the sentiment from the Everyday Sentiments #3 to be able to stamp it on two rows. Det är dags för ännu ett kort med stämplar från Two Paper Divas. Den här gången använde jag blomstämpeln från Flower Doodles #2. Jag stämplade blommorna och bladen med Distress Ink stämpeldybor på akvarellpapper. Sedan använde jag en vattenpensel för att mjuka upp färgerna och färga blomman. Jag kunde inte låta bli att lägga på lite glitter. För texten använde jag en stämpel från Everyday Sentiments #3 och jag maskade stämpeln för att kunna stämpla den på två rader. Tack för att du tittade förbi! Ha en bra dag. Hope you had a nice weekend and are ready for a new week. We are starting the week with a new sketch from Kortskissen and this i my interpretation. I used a layered stamp set from Hero Arts and stamped the flowers and leaves with different Hero Arts Ink pads. 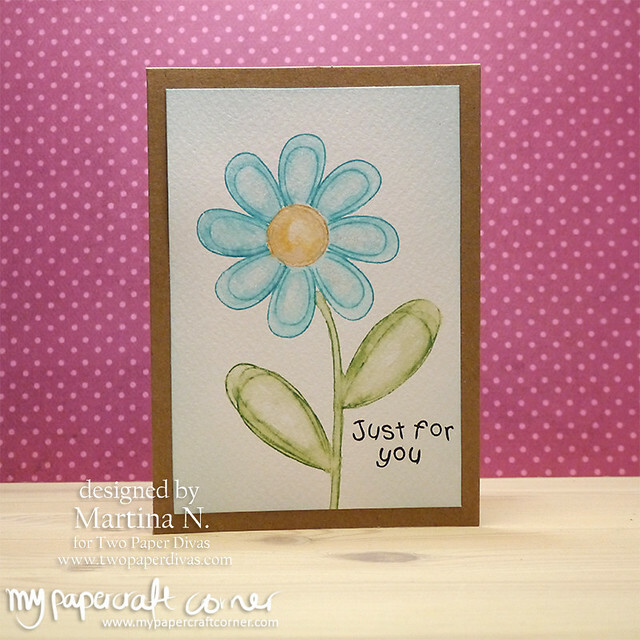 The background is also stamped with a background stamp from Hero Arts and Versamark ink. Hoppas att du haft en bra helg och är redo för en ny vecka. Vi startar veckan med en ny skiss från Kortskissen. Det här är min tolkning. Jag har använt ett stämpelset från Hero Arts som man stämplar i flera olika lager. Stämplingen är gjord med olika Hero Arts stämpeldynor. Även bakgrunden är stämplad med en bakgrundsstämpel från Hero Arts med Versamark. Tack för ditt besök! Ha en bra dag!